The official on-field shoe for MLB umpires starting the 2017 season is the 460 New Balance Umpire Plate Shoes. They are designed for that extra look of authority with a hi-gloss finish that is easy to clean while maintaining the comfort, breathability and traction you expect in an on-field athletic shoe. The redesigned floating instep guard provides advanced features. 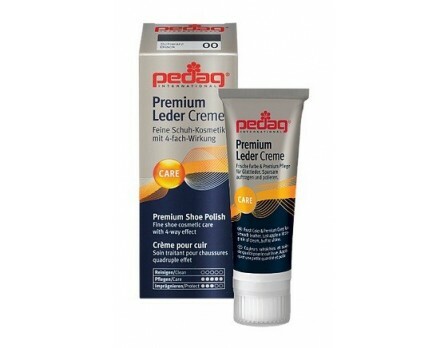 First, it provides maximum protection where you need it most, on the inside of your feet, without the extra bulk on the outside where you don't. Second, it "releases" from the top making it easier to take on and off and to lace your sholaces. Third, there is a mesh strap that creates space between your shoe and guard for air to flow. 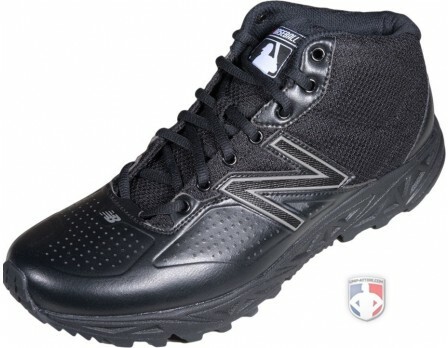 This mid-cut style is all-black high gloss finish with MLB logo on the tongue and heel and with NB logo on sole. Very excited about these umpire plate shoes. Took a bit to get used to the Mid-cut as it aligned with my shin guards, but after getting both adjusted its perfect. Great shoes!! The high gloss is easy to clean and projects the very professional look. Nice plate shoe, light. Very narrow fit (D is what I got). Comfy. I love these plate shoes, great fit, comfortable and long lasting. My previous New Balance plate shoes lasted almost 3 years and over 100 games a year. I normally don't write reviews but these shoes are great! They are very comfortable, I wore them last week for the first time and it was like walking on a cloud no breaking in required. These umpire plate shoes are worth every penny. I got a pair of umpire mid-cut plate shoes, real comfortable for long days, like the wide width. Comfortable umpire plate shoe to wear on long days. I wish I could wear them as field shoes. Good fit for wide feet. This shoe is a recent purchase. I am impressed with the redesign of the plate shoe by New Balance. The 460 was a poor design and needed regular stitching repairs to the plate over the laces. I like the feel of this boot but the jury is still out on durability and comfort on long days. I am hopeful! 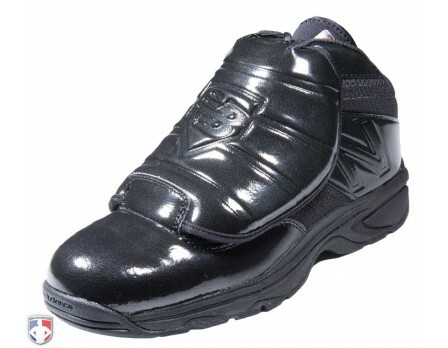 Comfortable professional looking umpire plate shoes that allow you to concentrate on the ball game and not be worried about tired aching feet. These shoes allow you to give your best effort to the players and coach in the game you are calling. Worth every penny. Seems like I was walking on air. Runs true to size. I Do Not Recommend this plate shoe for an umpire who does multiple games a day during the peak of baseball. They are defective they rip/tear easily where padding is stitched to shoe. Very poor design! I'm now on my 3rd pair in 16 months. Don't be mislead by the positive reviews. I too would write positive reviews if I had a steady supply of these plate shoes! Besides that major flaw, I really like this shoe. 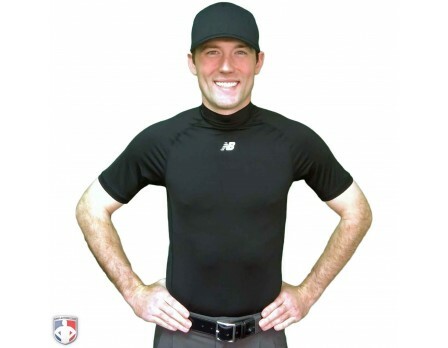 Thank goodness for Ump-Attire.com's customer satisfaction. They have been very understanding and have replaced the defective shoes. I hope New Balance will go back to the drawing board and fix the defect of the shoe. Good plate umpire shoes. Evolution compare as last generation. More protection cover inside and better look!!! I was unsure about these plate shoes at first. After the first game I was thinking they were okay but not great. After the second game they feel more broken in and are very comfortable. They are still new so I can't comment on durability because they haven't been hit or stepped on but they look great and are very comfortable! I have worn the old model for the last four years and really enjoyed them. When it was time for some new ones, I was a bit hesitant about changing up what worked well for me. Man I'm so glad I did. These umpire plate shoes are more comfortable than the older model and I love the high gloss shine. They are lighter and moving around in them is much easier. I highly recommend these shoes to everyone! 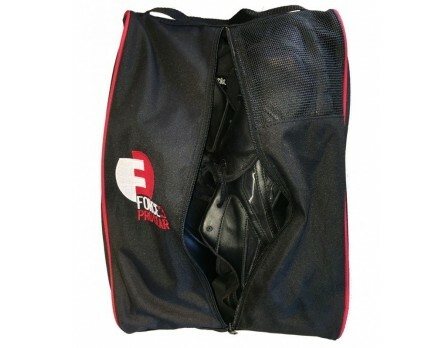 This is a great and light weight plate shoe with great protection on the top and insole. The semi gloss finish makes clean up a snap with a damp cloth or a quick rub down before a game. My only complaint is the the top guard comes down on the insole a little too much and actually contacts the ground. Very good plate shoe. Light, comfortable. Does run a little narrower than some others, so just bare that in mind. Much lighter then the older ones. I love the finish on them. These shoes are super comfortable, and purpose built for the plate. They are expensive, but they are worth it, no question. Great feeling plate shoe. Light with good support & great protection. Comfortable and not as heavy as past models. Very protective. Best ones yet. A little expensive but an awesome plate shoe. Very happy. Recently purchased these New Balance Plate shoes and have wore them 2 times now and they are everything you would want as a plate umpire. Comfortable, lightweight, easy to clean up. Although I would have preferred them not to have the glossy finish on them. The added protection on the inside of the metatarsal it great. I like the fact that it covers more of your inside foot. A place that is not fun to get hit with a ball at any level. Well worth the price in my opinion. Recently purchased these umpire plate shoes. They seem lighter than past New Balance plate shoes. Clean up rather well too! Looking forward to working in them more! Love the shoes. Fits very comfortably. The only issue I have is the instep of the shell. It's a tad bit long where it will drag in the dirt and start to wear out. The shin guard tends to push down causing the shell to raise in the front and the instep edge to become flush with the sole. If they shaved off half an inch, it may do some justice and last 2 extra years. Otherwise, 4 stars rating. Great shoes. But if you work a muddy game and, like me, bang the shoes together in an effort to clear the soles, the protective top flap will fall and swing down if you don't hold it or keep it laced. Not a big deal, but the leather ripped on my first pair. Ump-Attire.com issued a full credit, but it's something to be aware of. Love these New Balance plate shoes. I had the previous version, but love this version better so far. Lightweight, easy to clean, and fits well. Have used these plate shoes for 3 weeks and my feet feel so much better. Shoe is strong and easy to tie. The only issue I had was my Wilson Gray shins sit on top of the metatarsal plate pushing them up a little. Still love them. I never review a product but I am so happy with these shoes I had to submit one this time. Lightest shoe I have had and the comfort strap keeps the feet cool. Great traction on wet fields. These plate shoes feel like you are wearing slippers. An excellent shoe! 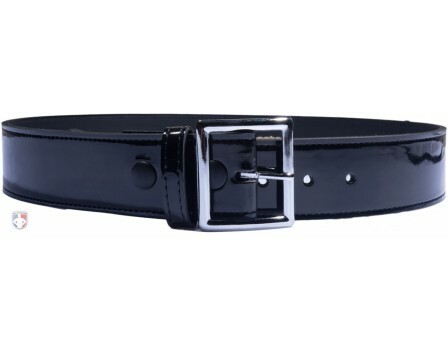 Offers great protection and fits great! I wish these were real leather though instead of the material they are made of, but the shoe looks great, cleans up extremely well, and is comfortable. I have 3 scrimmages on them in the last couple weeks. A great pair of umpire plate shoes!!! Not much else to say. Just awesome shoes, look great, feel great. I haven't had a chance to actually call a game in them, and I am curious how the finish will hold up to taking some balls. Of course Ump-Attire.com was unbelievably fast at getting the shoes out there!! I've owned the 450, 460 and now these. 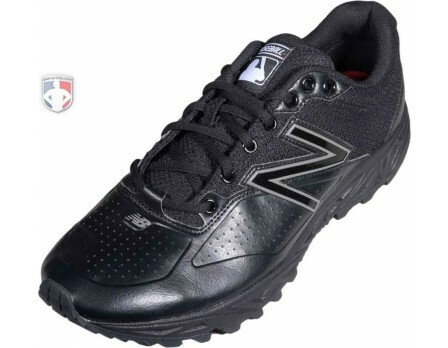 New Balance knocked it out of the park with these umpire plate shoes. Lightweight and great traction along with the shoes staying clean and sharp looking with just a wet rag. Can't wait to see what they have in store next. The best umpire shoe just got better. Improved flexibility and comfort, better tread design, easier on/off and tie/tightening. The new design and patent-leather(ish) updates just look cool, honestly. They feel lighter, even though it's only a half ounce. The midsole appears to be the same. Easy to clean; I have about 10 games on mine and they still look brand new. I may get the low-cuts too...nothing negative to say about them, they are simply the best umpire shoe available today. Best umpire plate shoes ever purchased, lightweight easy to clean. Q: Great shoes, but I am not sure how the laces should be tied. Are the laces supposed to come up through the holes in the protective plate and then tied? Or, are they to be tied in a different manner? Glad to hear you like these plate shoes. For best results, it is recommended to lace the shoes all the way to the top eyelet, feed the laces up (from the backside) through the eyelets on the metatarsal plate and then tie. Q: Are the shoe sizes true and I should order my normal shoe size? Yes Michael, these plate shoes run true to size. You should be satisfied if you order your normal shoe size. Q: I have the previous V2 model which run large for length of shoe size. I purchased size 9.0 2E. I would like to purchase the V3. What size do you suggest? A: The V2 and V3 models fit similarly so if you are comfortable in a 9 2E, I would suggest ordering the same size Patrick. Q: Used to wear this shoe a few years ago, had several pairs and they were great. Then they switched to new models and no longer made in my size 7 or 7.5 wide. Any chance they will offer this size again? A: I'm sorry Lee, but New Balance only manufactures their plate shoes in sizes 8 to 15. 3n2 starts their plate shoes at size 6 so you should be able to find a pair that works for you. Q: Do these shoes have a patent leather finish or are traditional leather that needs polishing? The video and description leads me to think they have a patent leather finish. Patent leather, once scuffed, can never be restored to its original condition. While these plate shoes are not patent leather, they do have a "high gloss" finish to them. The finish is easy to clean and polishable. No plate shoe is scuff-proof, but the "high gloss" finish is much more forgiving than a patent leather finish. Q: It has a listed weight of 23.1 ounces. Is that total for both shoes or per shoe? A: 23.1 ounces is the weight of one plate shoe. Q: What is best way to clean or polish them? 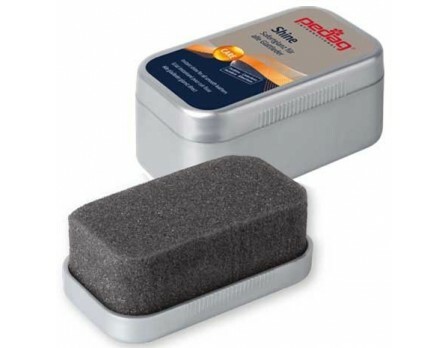 Regular shoe wax, or should I use something else? They stay shinny but did get foul ball off toe its now scuffed a little. A: There are many ways to clean your New Balance Umpire Plate Shoes. A wet rag is a good place to start. Soap and water is usually the best solution. Some umpires use Scrubbing Bubbles (the bathroom cleaner) to clean their shoes. Scuffs can sometimes be polished and buffed out. Try using a damp sponge. If that does not work, you may want to try a thin coat of liquid shoe polish only over the scuff. The hi-gloss finish will keep, as long as dust and dirt is wiped off after use. – Ralph E. Gough Sr.
A: "D" is standard width for New Balance shoes. "2E" is 1/8" wider than "D". "4E" is 1/4" wider than "D" and 1/8" wider than "2E". Q: How is the toe protection for the V3 plate shoe? That seems to be the only place I ever get hit. A: The toe protection for the New Balance V3 Umpire Plate Shoes is a considerable improvement compared to other brands of umpire plate shoes. Thermal polyurethane is used in the construction of the toe box. 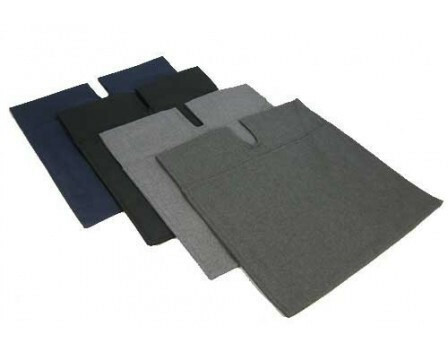 High impact areas are reinforced with the protective material to ensure your toes are kept out of harms way. Now In-Stock of BOTH Low-Cuts and Mid-Cuts. 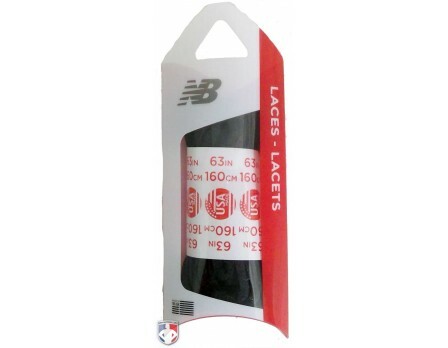 Learn about sizing and upgrades of the NEW V3 New Balance MLB Umpire Plate Shoes. 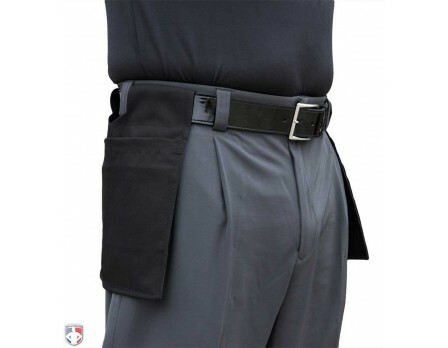 Are you an umpire that suffers from back, knee, joint or foot pain? There could be several causes - weight, lack of exercise, lack of proper stretching before and after the game, stress and more. WARNING: Participants in any sports activity assume risk of injury. 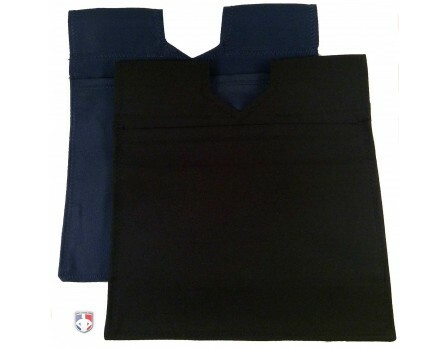 This equipment may be used to help aid in preventing or reducing the extent of injury. No equipment can guarantee umpire or player safety from injury during participation, and use of this equipment carries no such guarantee. Do not use any umpire equipment that is damaged in any way.